Being able to stay home with your children is a blessing to the whole family, but sometimes your bank account can feel a little stretched. What if you could find a way to make a little extra money while still keeping your primary job as a cuddle-giver, laundry conductor, face washer and dinner maker? In our car-centric society, cars get dirty, and they get dirty fast. No one wants to have a filthy car, but not everyone has the time and the patience to get a car really clean. Offer your services on your schedule: Saturdays, nap times (in your driveway), or during school hours. This can be a tricky business, but it can also be lucrative. Basically, you source inexpensive (and hopefully lightweight) items that will sell on Amazon. You ship them to Amazon, and Amazon sells them for you. Amazon takes a hefty cut of the sales price, but if you have the right price on your product to begin with, that’s OK. Please be sure to learn as much as possible about this before you get started, as it will require a cash outlay to get started. Do an internet search for “Fulfillment by Amazon” and read everything you can find! Ironing is one of those tasks that you either love or hate. If you like the feel of a hot iron gliding across a smooth shirt, then you can help out your neighbors and make some money at the same time. Advertise via a flyer at the grocery store, your neighborhood newsletter, or let some parents know at your children’s school. Charge by the hour or by the piece. I think the biggest problem with this is that you’re likely to get more work than you can handle! If you are good at anything, you can probably find someone who will pay you to teach it. Piano, writing, painting, cooking, math, baton-twirling – the list is endless. If you have a green thumb, or a knack for turning grown things into fancy things, you can sell these items at your local farmer’s market. Check with your city or county to see what they require in terms of licenses and food-safety issues. This will take up most of your summer Saturdays unless you find a partner with stock that goes sensibly with yours; then you can take turns. This one makes me cringe a little, because I know so many people who have businesses doing crafts who never make any money at all. However, I also know people who do quite well, including a friend who makes six figures selling her hand-made jewelry and another friend who does very expensive paintings. There are three important factors here: having a high-quality, unique product, pricing your product high enough, and having a good sales channel. If you can organize those three things, you can make money with your special skills. This might seem obvious, but providing childcare for others is a time-tested way of earning money while staying at home. You can do full-time, drop-in, after-school, or overnight care. Depending on your location and situation, you might need to register with your local authorities. 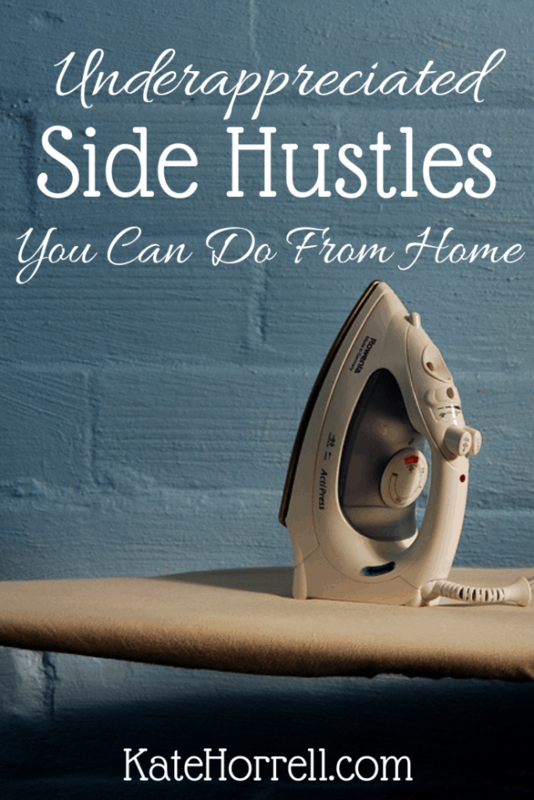 This list is not meant to be all-inclusive; there are tons of articles on earning money from home. However, these are the easiest and most accessible for most stay-at-home parents I know. Don’t forget, you might be able to save just as much as you could earn by doing smart things like menu-planning and careful budget management. And alway, always beware of any “work-from-home” opportunity that seems sketchy or asks you to pay for anything upfront. Excuse me…Are you sure that this is going to work? Please reply my comment please. Yes, any of these would work.